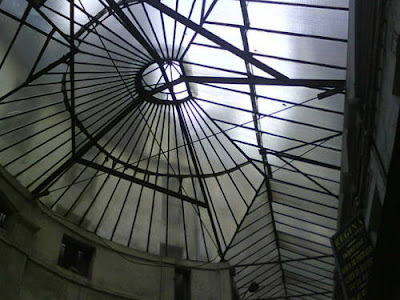 don't forget that you can find fanciful French treasures hidden in plain view at Mignonne! of course, our usual abundance of revamped furniture is always on hand ... but we also pride ourselves in discovering all sorts of unique items, vintage and artisanal, to satisfy your décor or gift needs ... whether it is an unusual collection of french ashtrays (which can be used for a multitude of things besides ashes!) ... pretty pastis decanters, tiny digestif glasses, delicate decanters ... we have an ever-changing selection for you. And we have beautiful new items such as body products, soaps and the like for those pampering moments we all enjoy. come check out what's in store today! Does your home need a Spring Break that won't break the bank? 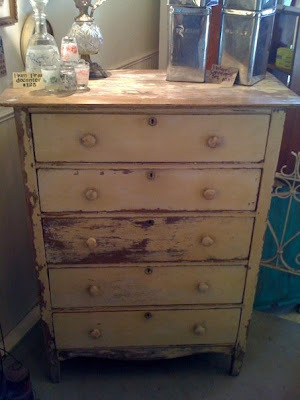 Mignonne has custom services that can help you breathe new life into a tired room or furniture piece. We have loads of inspiration and creativity to help get that spring project finished. It is surprising how one new feature or some fresh paint can transform a room. 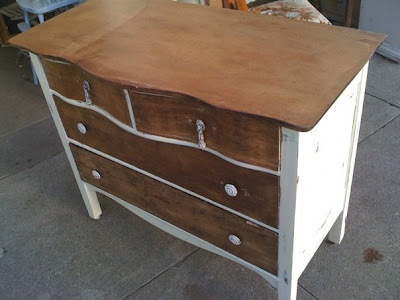 Here's an example of a vintage furniture piece we did a custom look on for one of our clients. This will become the center-piece of their bath (used as a new vanity with a sink on top) and shows how incorporating a vintage furniture item in the place of a standard 'big-box' cabinet can make a world of difference in your design scheme. Whether it is transforming your piece or one of ours ... or consulting with you on 'relooking' a room ... or having us hunt out the solution for you ... we can help you get that Spring Break in action for affordable terms. À bientôt (see you soon)! Just in time for Valentine's Day, Mignonne is offering a new line of handcrafted luxurious body treats, captain blankenship. A one-woman workshop founded in 2009 and run by Jana Blankenship from her home in Berkeley, captain blankenship products are prepared with organic and sustainable ingredients. When Jana was a child she loved mixing her mom’s discarded perfume into signature fragrances like “Scents of Hawaii.” These heavily sniffed concoctions resulted in an allergy to synthetic scents, but also led to her love of smells. After starting to make her own lip balms at home and sharing them with friends and family, she quickly expanded her line into luxurious soaps, bath salts, body balms and scents. All of her products are made with organic or wildcrafted ingredients, essential oils, and a heavy dose of love. 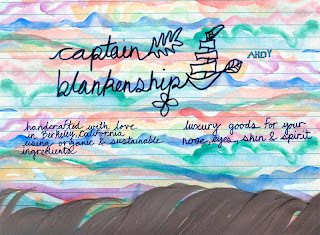 Express your love with handcrafted soaps, perfume and bath salts from captain blankenship ... local, artisanal and one-of-a-kind! 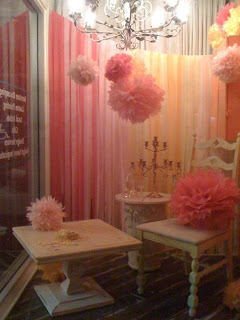 We are up and running with our Custom Chair line at Mignonne! This is a collaborative project featuring custom hand-painting by Johnelle Mancha of Mignonne and hand silkscreened, Eco-friendly linen by local artist Gina Pericini! 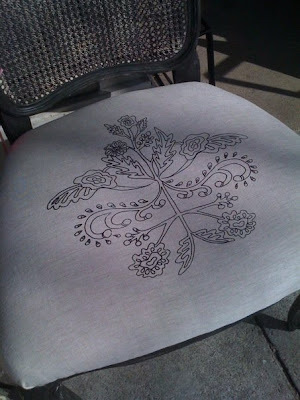 This chair is available in 6 prints/color schemes and is available for special order at Mignonne. 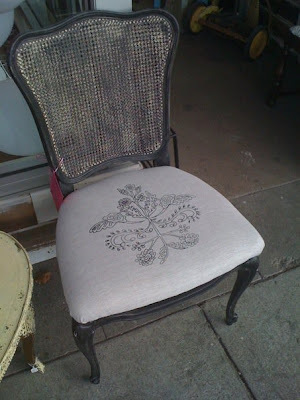 Featured here is a damask, Matisse-inspired fabric paired with classic, black washed chair. Call us with questions or stop by to view other available choices! Local and one of a kind! Come find us today at the Alameda Antiques Fair, space F24! you won't have to 'hunt' for long to find something fabulous at our spot ... or if you find a special treasure that you just know will be fabulous with some revamping ... we can get that done for you with our special Mignonne flair ... that means Fabulous and Affordable! 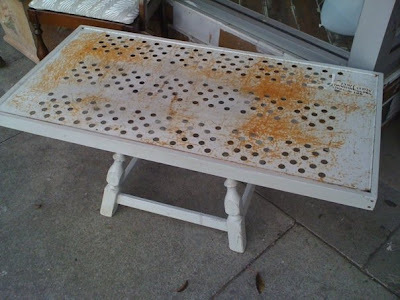 check out this table ... designed by a local artist using a reclaimed coca cola rack with vintage table legs! love love love that it is slightly industrial PLUS with it's metal top you don't have to be afraid of water glass rings!